April 17, 2018 | April 17, 2018 | The University of Arkansas for Medical Sciences (UAMS) is attacking the nationwide opioid epidemic on multiple fronts that have produced new research and treatment options for patients and health care providers across Arkansas and beyond. There were 116 deaths per day from opioid-related drug overdoses in the United States in 2016, according to the U.S Department of Health and Human Services. Arkansas ranks second in the nation for its opioid prescribing rate with an average of 114.6 prescriptions per 100 people, according to U.S. Centers for Disease Control and Prevention data from 2014-2016. Research to improve understanding of opioid addiction and its treatment is ongoing in departments across campus, and some of it is having national impact. For example, the Centers for Disease Control Prevention Morbidity and Mortality Weekly Report published a study in 2017 led by UAMS pharmacy professor Bradley Martin, Pharm.D., Ph.D., that showed that by prescribing patients opioid supplies of three days or less, providers can reduce the likelihood of the patient using opioids chronically one to three years later. The UAMS Psychiatric Research Institute’s Division of Health Services Research, directed by Teresa Hudson, Pharm.D., Ph.D., is conducting a variety of studies related to opioid addiction, including opioid addiction among people with mental health diagnoses and among veterans. One study found that people with mental health and substance abuse diagnoses receiving therapy and regular doctor checkups were less likely to die, but only if they were not prescribed opioids or benzodiazepines. Another study showed that veterans from Iraq and Afghanistan were prescribed opioids at rates similar to the rest of the U.S. population, indicating that overprescribing is a nationwide issue not specific to veterans. Three related studies are looking at methods to decrease opioid use and improve pain management among veterans with chronic pain. Peter Crooks, Ph.D., is working to develop safer opioid molecules that work better for pain than existing drugs, with fewer side effects and less potential for addiction. Within the Women’s Mental Health Program, Jessica L. Coker, M.D., is studying opioid addiction in pregnant women. Lisa Brents, Ph.D., is developing new therapies for opioid addiction during pregnancy that reduce fetal exposure to opioids. William Fantegrossi, Ph.D., is studying new types of opioids and whether they are more addictive than older types or require more aggressive treatments for dependence and overdose. Benjamin Teeter, Ph.D., is studying ways to more effectively distribute naloxone, which is used to treat opioid overdoses in emergency situations, in the community. Bradley Martin is also about to initiate a study to see if physical therapy can interrupt long-term opioid use among patients with low back pain. The Psychiatric Research Institute’s Center for Addiction Research has many ongoing studies related to improving opioid detoxification treatments by testing different methods and drugs or combinations of the two. In addition to performing the kind of research that could change physician behavior nationwide, UAMS clinicians are turning a critical eye to their own behavior in the name of improvement. UAMS is the state’s largest public employer, with a hospital, five colleges, seven institutes, a Northwest Arkansas campus, a network of regional centers statewide and physician placement partnerships with Arkansas Children’s Hospital, the VA Medical Center and Baptist Health. With such a wide reach, changes to the institution’s internal processes can have a huge impact. For example, colorectal surgeons in the UAMS College of Medicine Department of Surgery set out to change the way its physicians helped their patients manage pain, limiting opioid use as part of a comprehensive Enhanced Recovery Protocol. The process began with a year of internal education about the new approach and the evidence to back it up, followed by an official kickoff in 2015. The latest data show that over a two-year period, narcotic use decreased 40 percent. Patients who are not prescribed narcotics are well enough for discharge an average of 1.5 days sooner. Complications resulting in readmission are also down among those patients. Meanwhile, the Department of Orthopaedic Surgery conducted a similar internal review and developed its own opioid prescription guidelines. Simon Mears, M.D., orthopaedic surgeon and professor of orthopaedic surgery, helped lead that effort. In a little more than a year, their narcotic prescriptions have decreased by a third. Both Laryea and Mears said it’s common for patients to come to them for surgery already on high doses of opioids prescribed to them by other doctors. With that issue in mind, the orthopaedics team enlisted the help of UAMS’ Center for Health Literacy, which produced clear and easy-to-read materials about opioids to help with doctor-patient discussions about pain management and expectations before and after surgery. There has been interest from outside groups to adopt the protocols developed by the Orthopaedics Department and the accompanying patient information materials. The Emergency Department, with the help of the Pharmacy & Therapeutics Service Line, conducted a similar review of the amount of opioids being prescribed to patients when they are discharged from the Emergency Department. It found the averages were within an appropriate range, but recommended improvements in the electronic prescribing process and better written guidelines for opioid prescribing. They revised prescribing protocols and updated the automatic defaults of opioid orders within the electronic health record. 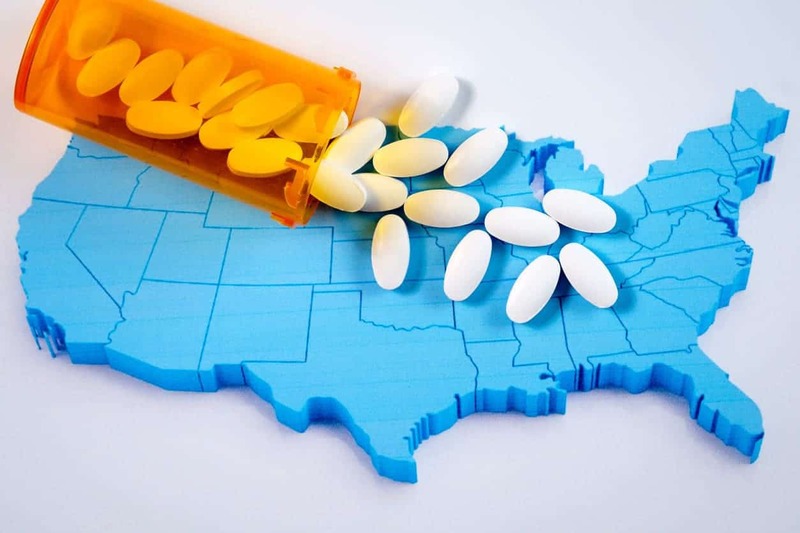 In addition, they are seeking ways to make it easier for prescribers to see potential alternatives to opioids — such as nonsteroidal anti-inflammatory medications, acetaminophen, hot/cold treatments and physical therapy. Moving beyond the walls of UAMS, education and outreach are elements of achieving the institution’s mission of improving the health of all Arkansans. Professionals from across the state will have access to the latest information at the Arkansas Pain Management Symposium at UAMS on April 28. Educating the next generation of caregivers is critical. UAMS has 2,834 students, 822 medical residents and six dental residents. In the College of Pharmacy, faculty are bringing their direct clinical experience with the crisis to bear as they educate future pharmacists. Victoria Seaton, Pharm.D., works in veteran mental health at an inpatient psychiatric unit in Fayetteville, where she also brings students for firsthand experience. The most common diagnosis is addiction combined with chronic pain. In the classroom, the College of Pharmacy’s curriculum has included a section on chemical addiction for more than 30 years. “This is not a typical course required by other colleges, but our leadership recognized the importance of educating future pharmacists on the problems arising from addictive diseases, including alcohol and drug abuse,” Seaton said. This year, they dedicated extra hours on discussing the opioid crisis, educating on pharmacists’ role with administering naloxone and emphasizing non-opioid pain management. In the College of Medicine, James Graham, M.D., associate dean for undergraduate medical education, tracks the overall curriculum to ensure that medical students learn about all of the necessary topics, including opioids. In response to the crisis, the college’s leaders have made changes to how the information about opioids is presented to emphasize the dangers of its abuse and potential for overdose. Direct clinical care related to opioid abuse is another vital part of the effort. The Emergency Department and UAMS Medical Center treat opioid overdose patients. The Psychiatric Research Institute’s Center for Addiction Services and Treatment treats opioid addiction through medication and group therapy. It has one program specifically for female patients. The institute’s Women’s Mental Health Program treats opioid addiction in pregnant and postpartum women. Finally, UAMS physicians are dedicated to the approach of not prescribing opioids for conditions where there is no scientific evidence that they help and plenty of evidence that they are actually a hindrance to treatment or recovery. This deceptively simple tactic has been complicated in the past by a lack of awareness about the issue among health care providers and patients themselves.